This concise guide is essential reading for EU organisations wanting an easy to follow overview of the new regulation and the compliance obligations for handling data of EU citizens. The EU General Data Protection Regulation (GDPR) will unify data protection and simplify the use of personal data across the EU, and automatically supersedes member states domestic data protection laws. It will also apply to every organisation in the world that processes personal information of EU residents. The Regulation introduces a number of key changes for all organisations that process EU residents’ personal data. EU GDPR: A Pocket Guide provides an essential introduction to this new data protection law, explaining the Regulation and setting out the compliance obligations for EU organisations. 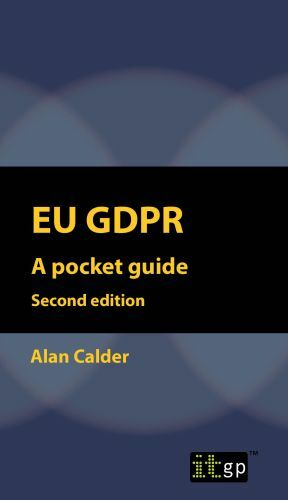 This second edition has been updated with improved guidance around related laws such as the NIS Directive and the future ePrivacy Regulation. A brief history of data protection and national data protection laws in the EU (such as the German BDSG, French LIL and UK DPA).